Human and animal microbiota is composed of several type of micro-organism (bacteria, viruses, fungi). Most of them are “commensal” and maintain a symbiotic interaction with their host. Staphylococcus infection is involved in bovine mammary inflammation which can be characterized according to whether or not they have apparent clinical symptoms. 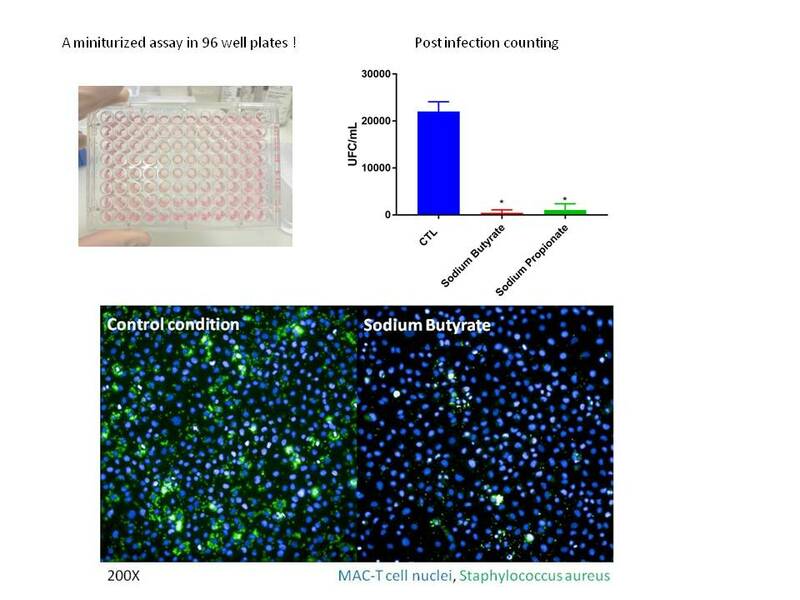 By using bovine mamary cells, with developped an in vitro mastitis model based on Staphylococcus infection. Our model combined a image based analysis with a post infection bacterial counting. Most important, our model is miniaturized in 96 well plates ! Contact us at welcome@hcs-pharma.com to get more informations on our in vitro mastitis model !